Patient education illustrations describing the difference between 2 chronic bone conditions: osteoporosis and osteoarthritis. 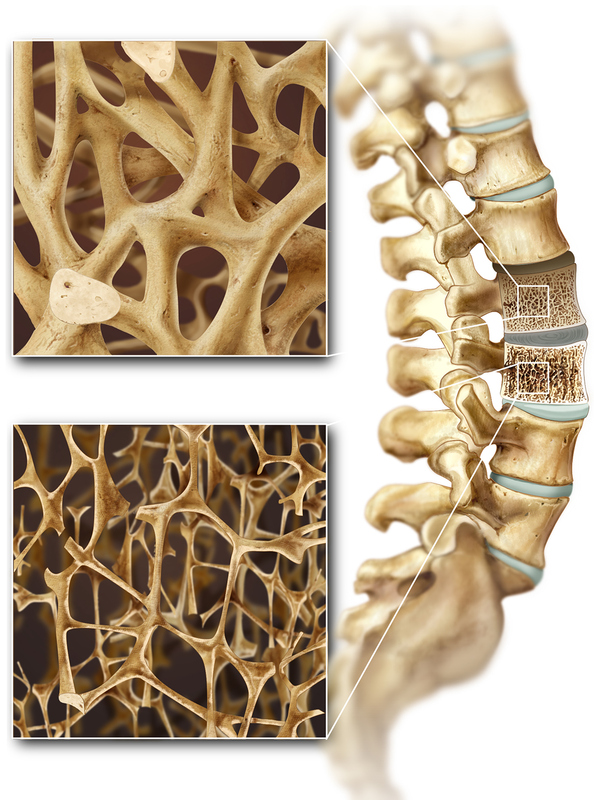 Comparision drawing showing the differnce between healthy and diseased (osteoporotic) bone. 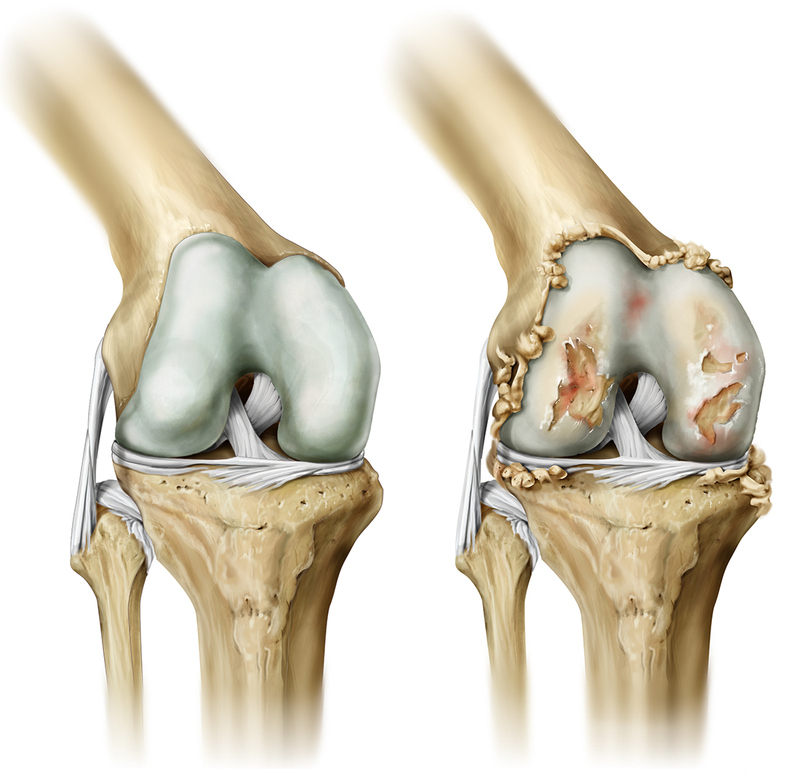 Comparision of a healthy and diseased (osteoarthritic) knee joint.